On February 28, 2018 at the Meyer Werft shipyard in Papenburg, Saga Cruises held the 'Steel Cutting Ceremony' for their brand new ship. This signaled the start of the building process. Follow Saga’s video blog to see this and other key moments in the creation of Saga’s brand new luxury ship. 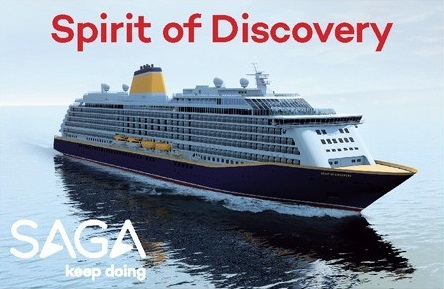 Spirit of Discovery will take to the oceans in just 15 month's time.